Pocket Knives: For Women Too! When I didn't own a knife, of course I never used it, and so the thought of getting one never crossed my mind. But, when I started carry a knife with me everywhere I went, it became very clear to me: "This is a really important piece of equipment!" I thought, "How did I ever live without a knife? What did I do when I wanted to open a box, eat an avocado, or cut a flower stem?" All those questions have other, and different, solutions, but they can also all be solved with just one thing: a pocket knife! Carrying a knife is more common among men these days, but I promise you, ladies, if you buy one and carry it with you all the time, you will find yourself using it way more often than you could've ever imagined. You will learn a knife is a practical utility for everyone...even for a petite, 100 lbs., 5'3" female such as myself. I carry the Drifter by the Columbia River Knife Company (above). 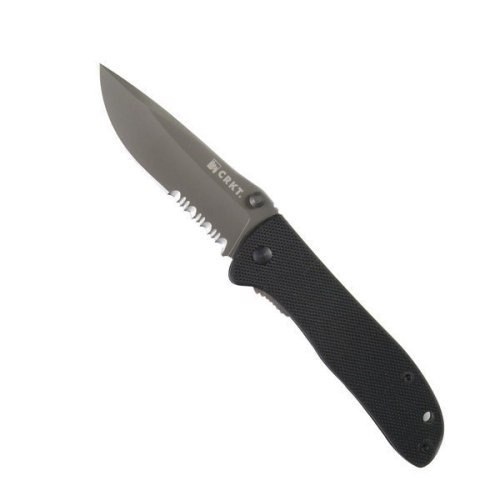 The perfect size to fit in my pocket or slip into my purse, the Drifter comes with a straight edge or a combo edge (my preference), shown, which includes a straight and serrated edge allowing you to cut anything from tomatoes to rope. Do you carry a knife? If so, which one? Why Do Old Books Smell So Good?